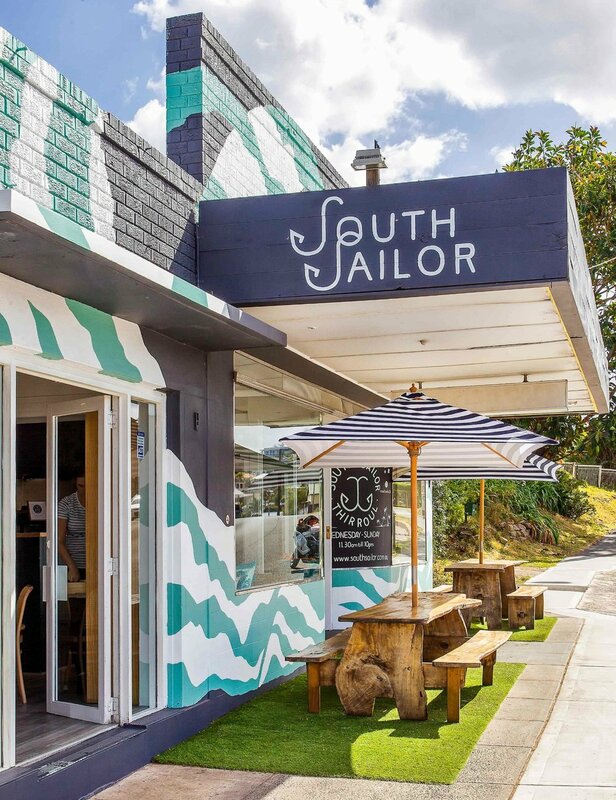 What was the driving force behind South Sailor? 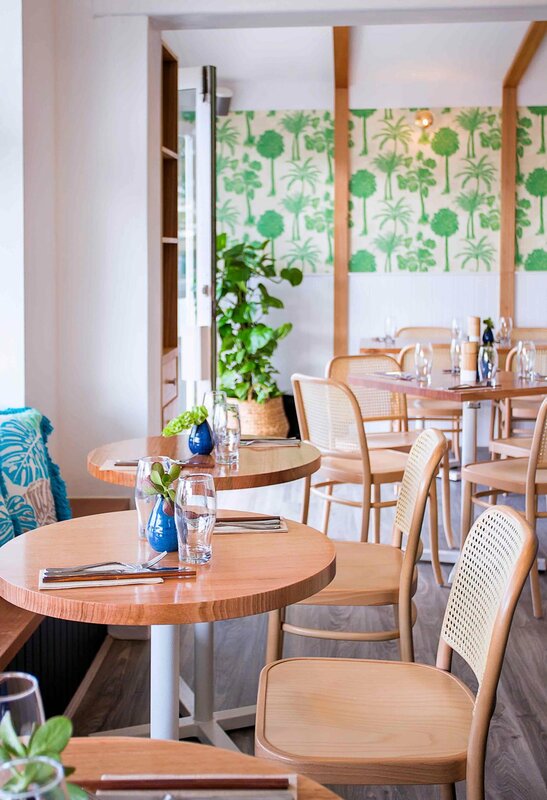 Living just down the road in Thirroul, we’ve been looking for over three years for a venue that would bring together our family ethos, love of fresh produce and the beach. When we walked into this building, we knew it was the one. Aside from incredible location, the place has real soul with a history that has a strong affinity with seafood. On that first visit, my mind was alive with ideas of how I could create a menu that would tell the story of the building and bring it a new lease of life. From a design perspective, we wanted to stay true to the bones of what we had been given. Nestled between the escarpment and the beach, the building has a natural vintage coastal vibe that guided the design process. Have you managed restaurants in the past? My culinary career spans over two decades. Born and raised in New Zealand and classically trained in Auckland and London, I’ve worked in places such as the Ivy in London. I set up one of Sydney’s first modern tapas and underground small bars in Bondi, The Point of View, for the 2000 Olympics. 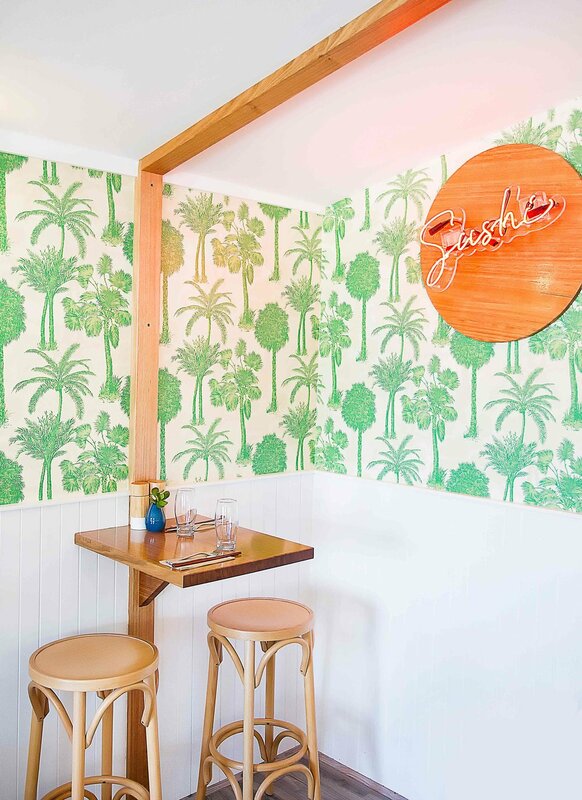 More recently I partnered with Sven Almenning to set up Roosevelt Bar & Diner in Potts Point. My wife, Gaenor, and I have also been running a catering company in Sydney for over 10 years. So we keep ourselves pretty busy! Where do you source your seafood from? We work closely with a number of suppliers to source our seafood. Our mandate is fresh, sustainable and from Australia and New Zealand. As a chef, good local seafood is what really excites me. We utilise the south coast oyster trail to serve up what are arguably the best in Australia. You’ll also see mussels from Eden popping up on our specials menu. Sourcing locally means that we can’t always get the catch we want, like our very popular whitebait that is now out of season in Australia – but we won’t compromise for an inferior overseas product, as there are so many delicious alternatives on our doorstep. The menu is so diverse, with Japanese, Korean, Mexican influences... How was that concept born? Our address is the driving force behind our menu. The site has been serving up seafood to the community since 1946, so it was essential for us to stay true to that legacy. We’ve kept on your classic fish and chip shop fare but I wanted to introduce more worldly flavours, inspired by my own travels. I love the idea of sharing food with friends and family – so you will see the menu is designed into small and large plates. I also don’t believe seafood needs to come with a premium price tag to be delicious – you’ve just got to respect the fish. We use all parts of the fish, so nothing goes to waste. Smoking and curing also extends the life of the dish as well as adding real flavour. We’re not an exclusive fish sorority here! We also serve a mean teriyaki wagyu steak and have a colourful offering for vegetarians and vegans. Is there a bestseller on the menu so far? There are a few contenders. The Baja Fish Tacos and South Sailor Fish Tacos have been a huge hit. But we know we’re tested on our worth by our market fish and chips! We only use barra and flathead. The batter is made with South Sailor Pale Ale. And our chips are delivered from a farm in Gembrook, Victoria, where they are grown and cut on site. The poke bowls are also starting to gain real traction. For some this is a new dish, but once guests find out that poke is essentially deconstructed sushi served with a fresh crunchy salad – they’re sold! What are your plans for the future of South Sailor? We’re only just getting started. Over the coming months, you'll see more craft beers on our menu, music in the garden, cocktails and fresh seafood specials. We’ve got some exciting plans for our takeaway offering, too. So, Coal Coast, bear with us, it will be worth the wait – we promise!